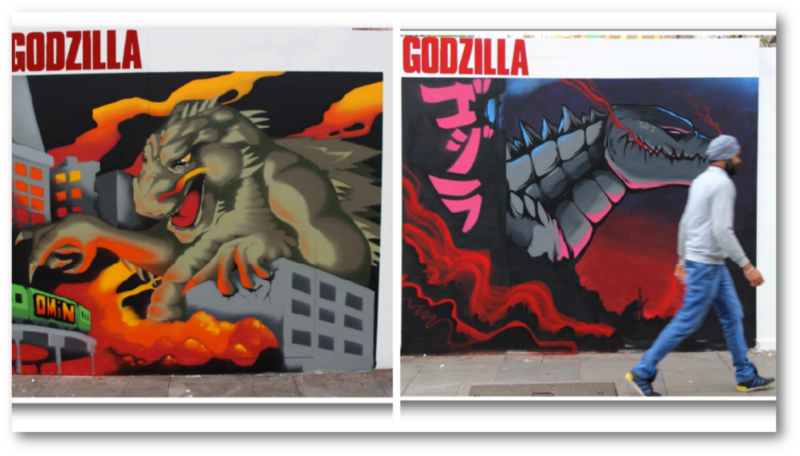 Warner Bros Pictures Ireland, a client who we have worked with alongside OMD and Kinetic for the past 2 years, were looking to generate some PR value from the new Godzilla re-make launching in summer 2014. 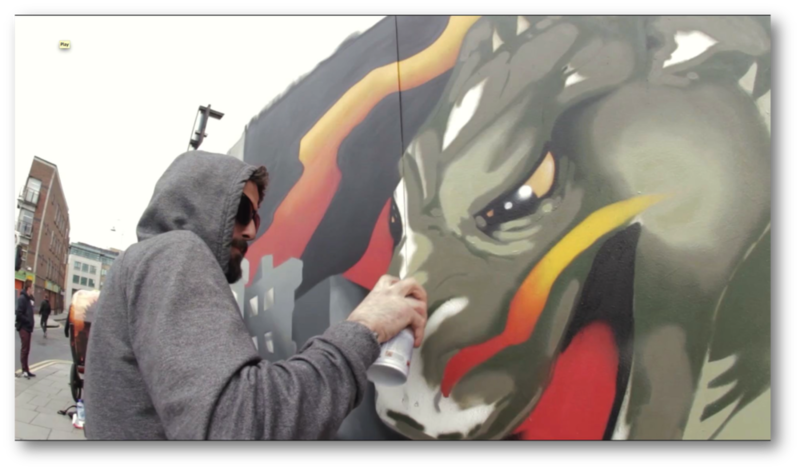 Having worked with HeadCase previously, they wanted to explore the idea of some hand painted OOH and character re-creations using some of HeadCase’s graffiti and street art talent. 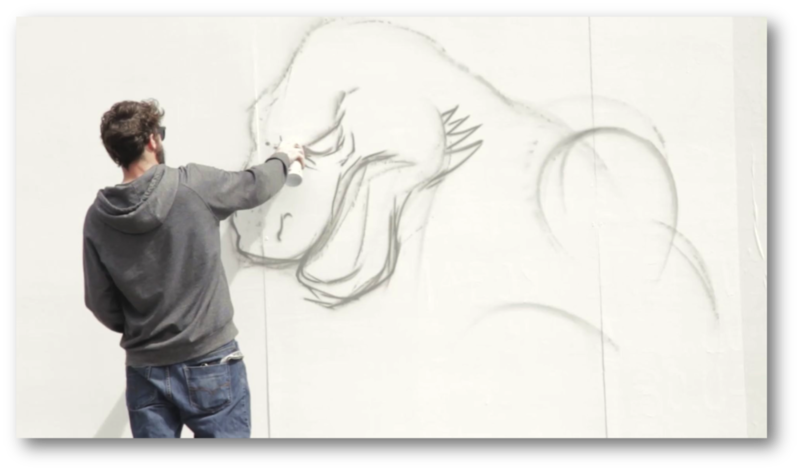 Creatively, we decided that we wanted to get a group of artists to pay homage to the history of the Godzilla character, and how it has featured and changed over the years - from a Japanese comic book character, to a full-on Hollywood superstar. Artists presented their sketches and interpretations which were signed off by Warner Bros.
Entertainment.ie were on site also for an interview with the artists on their inspirations. They also featured images and coverage of the event online.